For use in Hewlett Packard LaserJet 9000 - LaserJet 9000n - LaserJet 9000dn - LaserJet 9000mfp - LaserJet 9000lmfp - LaserJet 9040 - LaserJet 9040n - LaserJet 9040dn - LaserJet 9040mfp - LaserJet 9050 - LaserJet 9050n - LaserJet 9050dn and LaserJet 9050mfp series printers. Rated yield: 30000 pages @5% coverage. 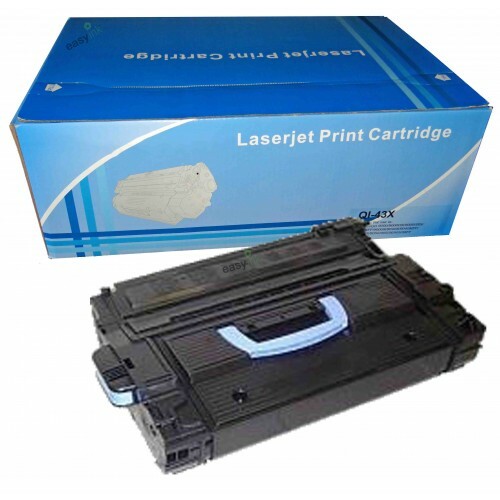 This cartridge compares favorably with the genuine Hewlett Packard C8543X cartridge both in print quality and the number of pages it will print. It comes with a risk-free Satisfied Or Your Money Back guarantee.